Water treatment should not be a substitute for a properly designed, constructed, and maintained water supply. Preventing pollution is one of the most direct ways of reducing health risks from drinking water. For more information about the supply of water from private wells and from public (municipal) sources, also see the Wells and Supply page. It is important to keep in mind that no individual water treatment device removes every contaminant from drinking water. Depending on the severity of contamination, it may be necessary to replace your source of drinking water by developing an alternative water supply or purchasing bottled water. Some of these options can be costly and inconvenient, so it is important to have your water tested regularly and remain informed of community water quality issues and decisions. For more information see the Drinking Water Testing and Contaminants page. If a contamination problem is detected, or if you question the safety of your water supply (public or private), you may choose to consider a home water treatment system. Before purchasing a home water treatment device, it is important to review a variety of product information to ensure that your final selection will meet your specific needs. For certain contaminants, some water treatment options may be inappropriate. In New York State, water treatment device sales people are required by law to show verification of their products claims. In addition, there are third-party, nonprofit organizations such as NSF International that set performance standards for drinking water treatment devices, and test them for certification. Please see our other pages for information on water treatment related to Emergencies, Travel, or Disinfecting a Well. My water smells like rotten eggs. Why? What can I do? This smell is usually due to hydrogen sulfide, a sulfur compound - see the sulfur information on the testing and contaminants page. Desalination is a process used to convert salt water to water that can be used for drinking, irrigation, and other uses. It is most common in coastal areas, and other areas where the supply of fresh water cannot meet the needs of the local population. In 2001 there were more than 15,000 desalination plants worldwide. The biggest problem for widespread use of desalination is the cost, which is much greater than that for treating surface water or groundwater. Desalination requires a very large amount of energy, and produces large amounts of waste products. Most desalination plants are built next to power plants that deliver inexpensive reliable power to reduce energy costs. Some coastal areas, however, are also sensitive ecological areas. There are two techniques for desalination. Distillation can be thought of as boiling water, and condensing the water vapor, leaving the salt behind. The biggest drawback of this technique is the fact that it can't remove volatile chemicals that evaporate with the water. The second technique is reverse osmosis. Water under pressure is pushed through a filter with very small holes, so the water can go through, but the salt molecules remain behind. Can I get all the contaminants out of my drinking water? Please note that inclusion of a particular product does not constitute endorsement. We will add to this list over time. NSF International Consumer Page - an independent, not-for-profit organization that test and certifies water treatment devices and chemicals, and provides general information about choosing water treatment products. NSF Certified Drinking Water Treatment Units Search Page. This site allows you to search by manufacturer, product type, and for reduction of particular contaminants. Be sure to scan through the whole results page as the same product may be listed under multiple standards (e.g., taste is under the aesthetic standard, while mercury is under the health standard). Fit to Drink? 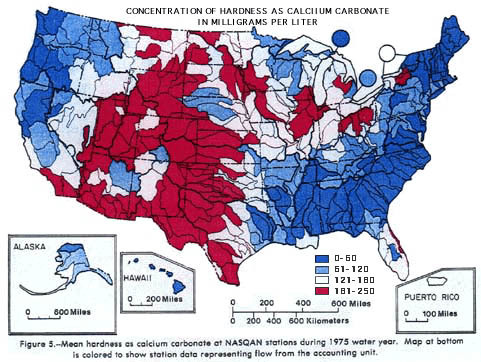 - January 1990 issue has several articles on contaminants, testing, carbon filters, reverse-osmosis systems, distillers, and water softeners. Our office has some printed copies of this available. Private Drinking Water Supplies: Quality, Testing, and Options for Problem Waters - 60pp., available from NRAES for $8.00 - see link for details. Home Water Treatment - 120pp., available from NRAES for $15.00 - see link for details. Includes gasoline oxygenates like MTBE; hydrocarbons like benzene; PCE; TCE. Trihalomethanes are mentioned in some of these publications, but covered in more detail under disinfection byproducts above. NYSDOH certifies environmental analysis labs. Commercial labs accept samples from the public (sorted by county, look for "potable water" testing). Fit to Drink? - Consumer Reports - January 1990 issue has several articles on contaminants, testing, carbon filters, reverse-osmosis systems, distillers, and water softeners. Our office has some printed copies of this available, or check your local library. What causes etching of my glassware in the dishwasher? Can potassium chloride regenerant wastes from a water softener be used for irrigating lawns? Will my family be deprived of minerals necessary to good health in drinking water softened by ion exchange process? 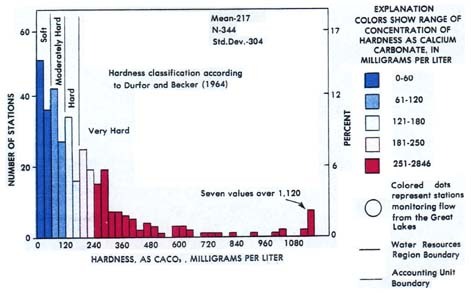 Is softened water more corrosive? Oil Storage and Wells MTBE and Ground Water - What's it all about?